Tamweel Tower apartment owners in Jumeirah Lakes Towers (JLT) are hoping to move into their homes by April, according to a news report. 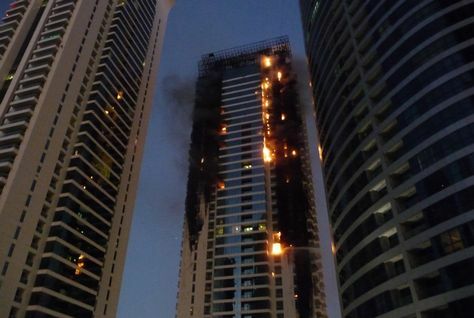 The 34-storey tower in JLT was engulfed in flames on November 18, 2012, but the owners have yet to return to their apartments, despite the rehabilitation process being completed in June 2016. In November 2016, the Dubai Civil Defence (DCD) asked the tower’s owner association to incorporate new safety measures before the completion certificate was granted. The recommendations included adding sprinkler valves, installing smoke detectors in maid/store rooms and increasing the balcony railing height. A DCD official told the National that the completion certificate would be handed over post submission of a third-party inspection report on the new fire-rated cladding. Amit Suri, acting chairman, Tamweel Tower owner association, told said they were expecting the report to be submitted by month-end. However, owners’ voiced concerned over the delay, saying they would have to extend their rental agreements as they continue to pay mortgages, the newspaper said.